You think our girls are any lesser than boys? Daya Kaur: But wrestling is only for boys. Mahavir Singh Phogat: You think our girls are any lesser than boys? 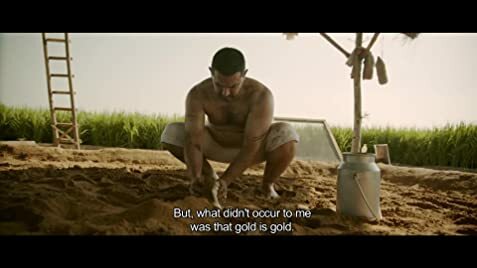 Story: 9/10 A Very True inspiring story of former wrestler champion Mahavir Singh Phogat whose dream is to win a gold medal for India in wrestling. But he fails to achieve that, then He avow that his son will do it. However, he got disappointed when his wife gives birth to four daughters. Direction: 9/10 Nitesh Tiwari achieved what he wanted, Got a new name, One of the best directors of Bollywood. Acting: Aamir Khan: 10/10 This time as a father, He will amaze you in every scene. His acting skills are deeply great. Whenever I watch Aamir's movies, I feel his acting. He loves acting and entertaining the world since He came to the Film Industry. Fatima Sana Shaikh: 9/10 Sometimes I still watch Chachi 420, because I love Kamal Hassan. And Fatima Sana Shaikh was the little girl in Chachi 420. Seriously I have seen her after Chachi 420. And after Dangal she will go so far. Aamir Khan and the two lead actress are the best cast roles in a long time, but overall cast done an amazing job. 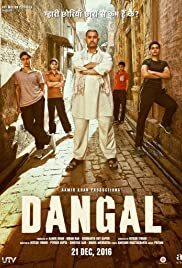 Dangal is humorous and Inspirational Journey. 65 of 99 people found this review helpful. Was this review helpful to you?